Disney assures fans that The Lion King live-action remake will not be an exact copy of the original animated movie. 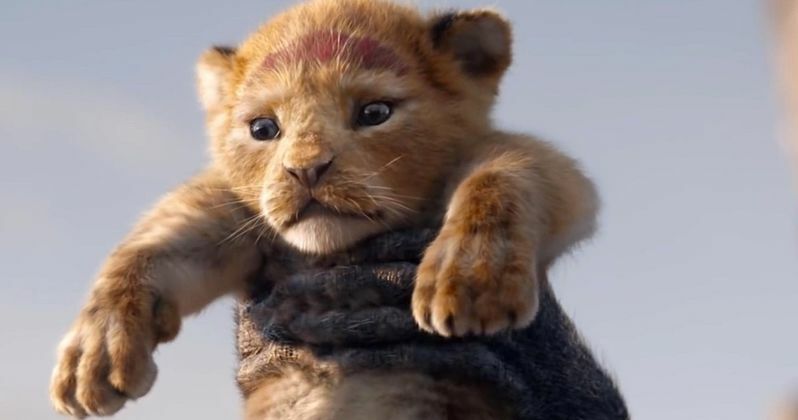 The first trailer for the upcoming movie is nearly a shot-for-shot remake of the Circle of Life and it had many wondering if the new adaptation is going to just be exactly the same as the animated classic. The trailer was released on Thanksgiving and some Disney fans started to get worried that the studio was just going in for a straight nostalgia take on one of the biggest animated films in history. In a new interview, Disney live-action film studio chief Sean Bailey discussed what the studio is up to and addressed some of the criticism that The Lion King live-action remake has received. In addition to be called out for making a shot-for-shot remake of the opening scene, fans have called it out for not being a true live-action project. Bailey says that this is a new way of filming and that it won't be a carbon copy. He explains. "The Lion King is a revered and beloved movie, so you'd better revere and love those parts that the audience wants. But there are things in the movie that are going to be new. (And) it is a new form of filmmaking. Historical definitions don't work. It uses some techniques that would traditionally be called animation, and other techniques that would traditionally be called live action. It is an evolution of the technology Jon (Favreau) used in Jungle Book." When looking at the way that The Lion King was filmed, it was done in a more traditional way with a set, as opposed to a bunch of animators working on computers. Jon Favreau utilized the same technique while making The Jungle Book, but the upcoming movie is stepping up the technology in a major way. That being said, it sure doesn't look like a live-action movie by any means. While some Disney fans have been complaining about the whole live-action tag, others have pointed out that seeing Beyoncé and Donald Glover in lion costumes wasn't ever really going to happen. If that's what you're expecting, you might as well go and see the excellent Broadway musical, which does just that. The Lion King remake already has the cards stacked against it because the original movie is so beloved. The Aladdin remake will probably run into the exact same problems, and to a certain extent, it already has. Beauty and the Beast was a huge score for Disney, but there had already been different takes on the classic story out for years. And while the original animated version is a classic, it's not as popular as The Lion King is for people of a certain age, which means that there is going to be a lot of people ready to criticize something that was a part of their childhood. The Lion King hits theaters on July 19th, 2019, so we'll have to wait until then to see how the project comes out. The interview with Sean Bailey was originally conducted by The Hollywood Reporter. The Lion King Remake Ignites Big Debate: Is It Animation or Live-Action?